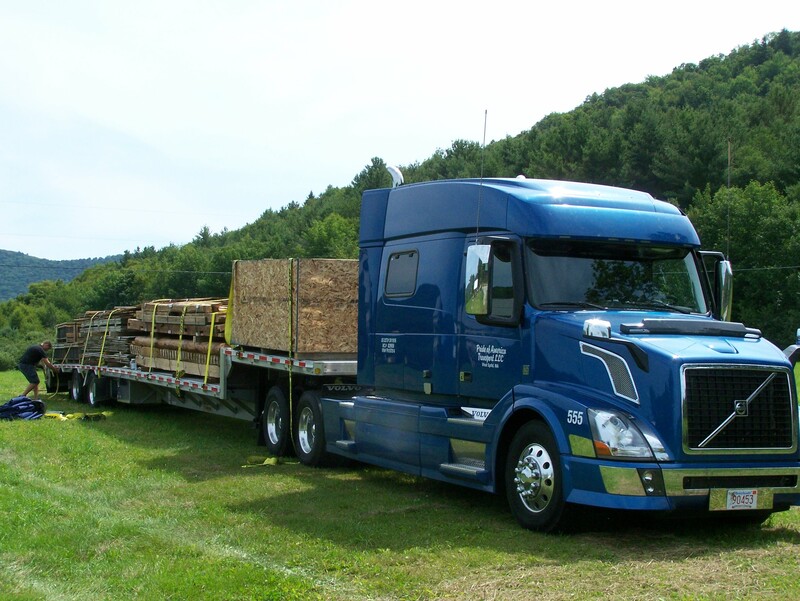 Green Mountain Timber Frames Goes West! 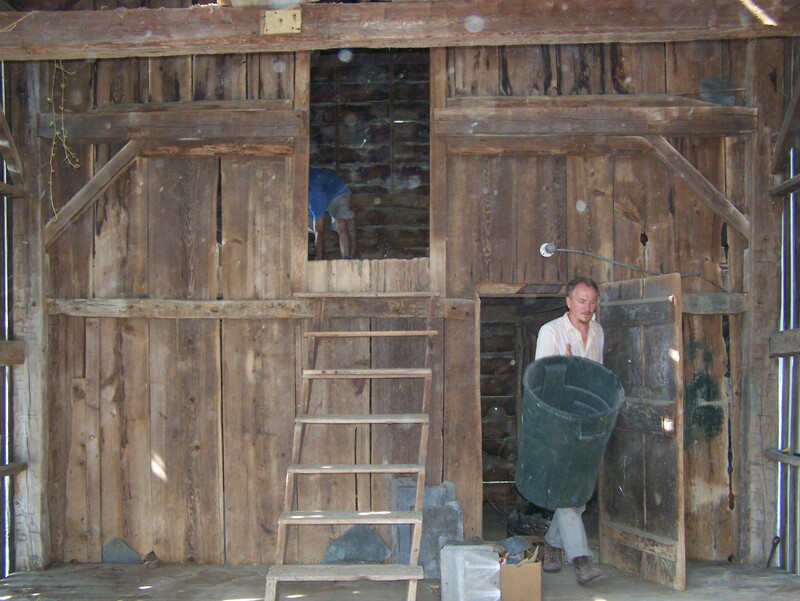 Here in New England, I have been restoring timber frame barns and building barn homes for many decades. Recently, our little company was able to venture further afield. Like Lewis and Clark did two centuries ago, we too have at last reached the west coast. We restored a colonial era barn – seen below at its original location in Hartford, New York – and sent it off for a new future in Snohomish, Washington. Just over two years ago, we hired a web design company to redo our website. In addition to creating our new site, they have helped us spread the word about what we do. Suddenly, instead of relying on word of mouth here in Vermont, Green Mountain Timber Frames has found itself with an international audience of timber enthusiasts, history buffs and potential clients. Our little local mom and pop shop has gone global. Thanks to the success of our site, we can now restore old barns here in New England and then ship them all over the country for reassembly. We are so grateful that our audience has grown and that we can find people across the country – and the world – to help us in our goal of preserving New England heritage and historical structures. So tell me about this frame! The frame itself was built around 1800, just a dozen years after the U.S. Constitution was signed. It was originally a corn crib and an unusual one at that. It has four different levels which add up to a total of 1000 sq. ft. While the old barn originally measured 16 x 18 feet, a 16 x 13 foot addition was put on a few decades later. (Hence the different floor heights.) The original timber framer was quite clever and talented. He artfully joined the floor systems together with various stairs. It was common during this period for corn cribs to have living quarters where the hired help would sleep. I suspect that was the case for this frame. For this most recent project, we found an owner in Washington State who shares our passion for history and our dedication to preserving historic structures. So while moving the frame to Washington did take the barn far from its New England roots, we are grateful that the timbers have been restored, re-erected and valued. Without the support of the new owner, the frame would likely have been demolished or burned. 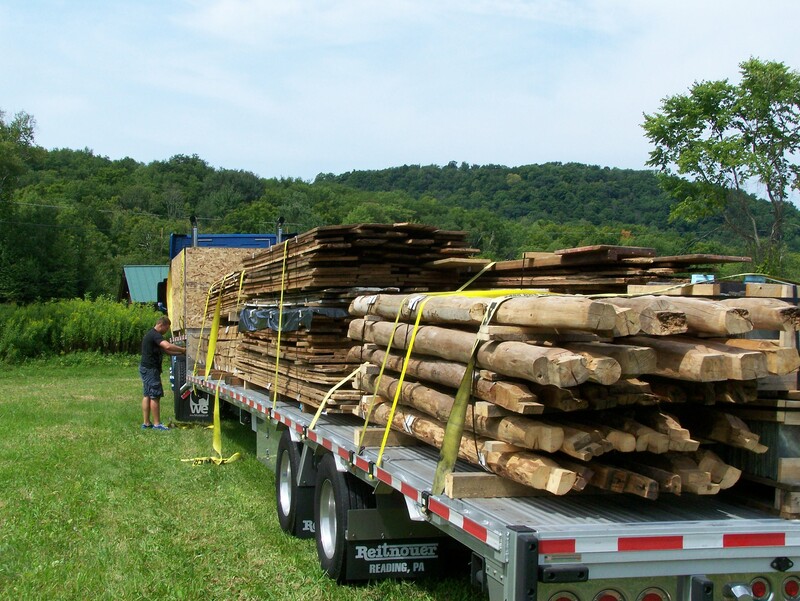 Here is the restored frame loaded onto a tractor trailer – board by board – ready for the long journey west. Back in the fall of 1805 when Lewis and Clark (with the help of Sacajawea) were just finding their way to Washington, they could not have imagined that one day a humble New England barn would follow in their footsteps. 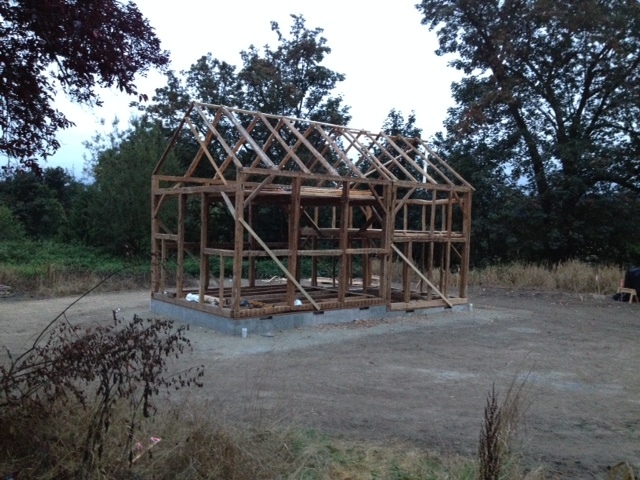 And here is the frame, re-erected beautifully in Snohomish, Washington. What will the frame be used for? The restored frame will be used as a storage barn in its new location. 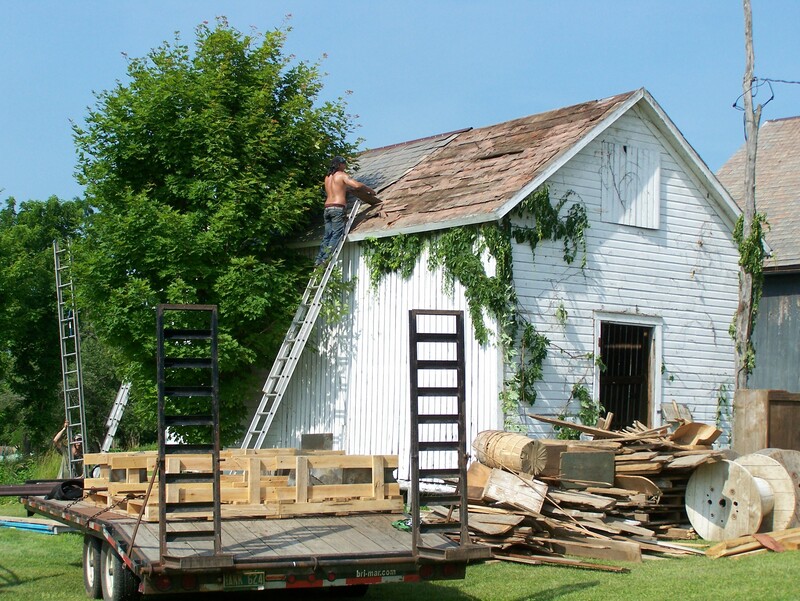 We shipped the frame together with the original barn siding, roof boards, slate roofing and flooring. In fact, much of the contents made their way west as well. 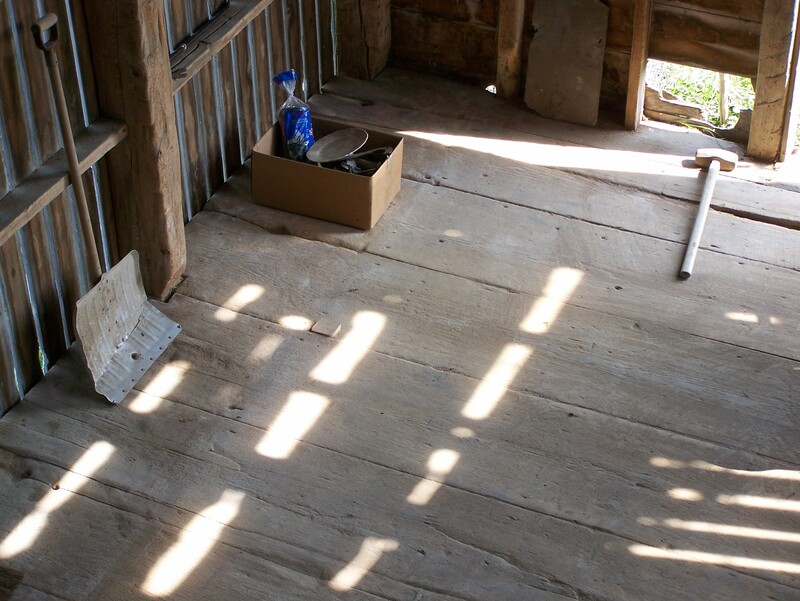 Inside the barn, we found over 50 beautiful wooden dovetailed boxes. They had never been used and were very finely made, so we sent them along as well. We also salvaged horse tack, vintage bottles, hand tools, and other varied knick-knack paddy-wacks. We also found two early wooden barrels that were clearly built before 1800. 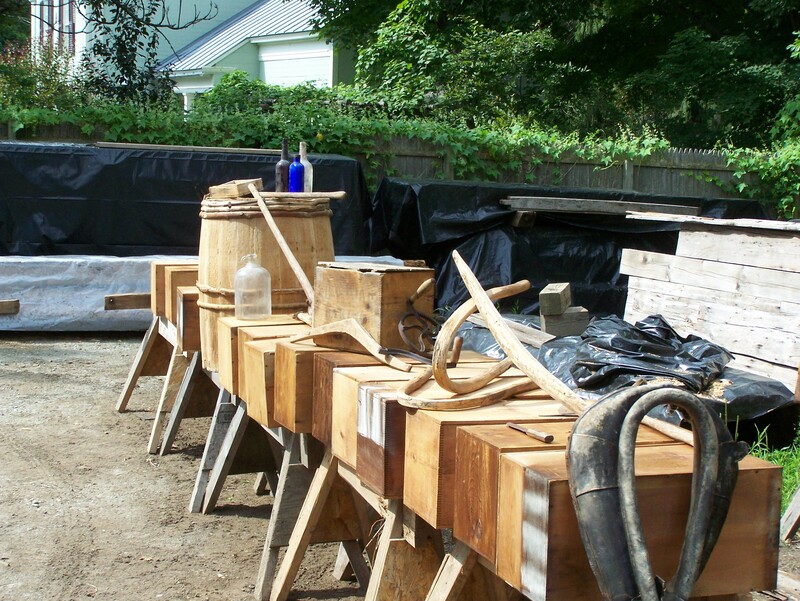 We could tell the barrels were early because they were made with sapling bands as opposed to the usual metal bands. So while we are a bit regretful that the frame left New England, mostly we are thrilled that it has found a new home – with appreciative owners – and that this frame will stand tall for decades to come. 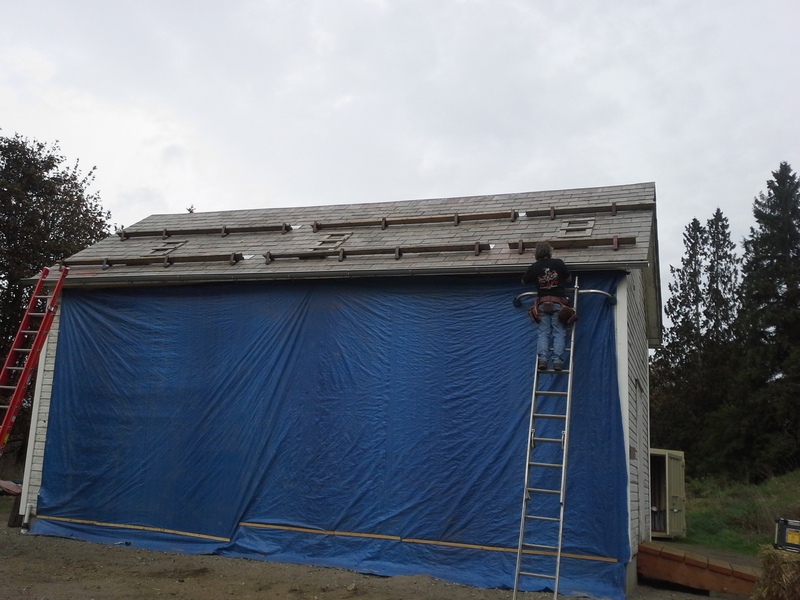 Now we just need for the famous Washington State rains to abate so that the talented builders out in Washington can finish rebuilding the barn. It’s been an exciting project. Through it I have also learned the skills of shipping long distance and was fortunate to connect with an excellent commercial trucking company which I can depend on in future. Want some more information about this frame, or others? Be sure to contact me to talk timbers! This entry was posted in Barn Raising, Green Mountain Timber Frames, Post and Beam, Sold Timber Frame Homes, Timber Frame Projects and tagged American Architecture, American heritage, American History, barn homes, colonial america, cross country, historic barn, historic post and beam homes, lewis and clark, old barns, Post and Beam, snohomish, timber frame, timber frame barn, timber frames Vermont, vermont timberframes, WA by Green Mountain Timber Frames. Bookmark the permalink.